Derek M. Jorgensen graduated from the University of Central Florida where he earned his Bachelor of Science in Business Administration. 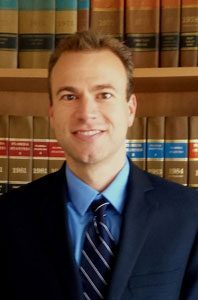 He received his Juris Doctor from the Florida Coastal School of Law in 2014. Mr. Jorgensen will be practicing in the area of real property law. He is a member of the Florida Bar Association as well as the Palm Beach County Bar Association.